Comments The exceptional lustre of this Coscuez Mine natural and unenhanced Emerald is just amazing! The powerful Sattvik energies and the positive aura of this wonderful Colombian Emerald just prove why the Mughal monarchs loved this gem so much! Intense and powerful Jyotish powers that are making a powerful Mercury talisman! 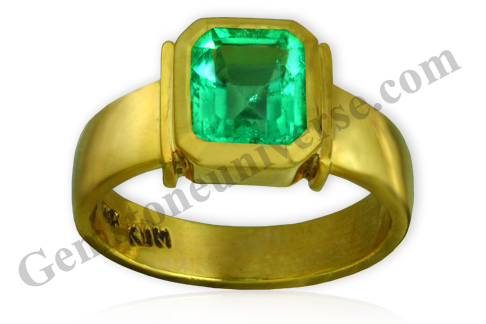 Emerald the gem for the planet of Business, Communication and wealth – Mercury!